Liberia, Costa Rica is not somewhere I intended to go…I was merely utilizing it for a cheaper flight to get to Nicaragua for a retreat. The distance from Liberia (in Northwestern Costa Rica) to my destination was about the same as flying to the airport in Nicaragua but half the price. The major difference was I had to cross the border (which was interesting, to say the least, but I’ll save that for another post). 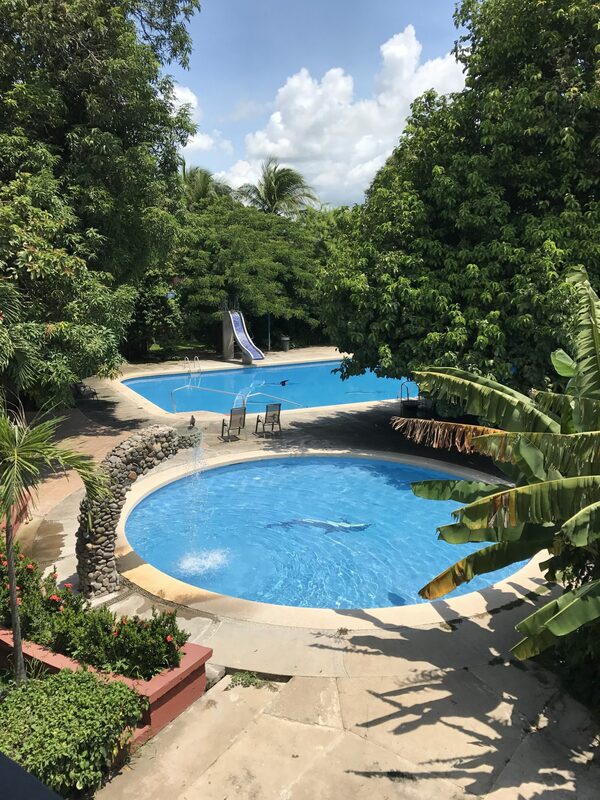 Flying into Liberia gave me two days – one upon arrival and one upon departure – to explore the immediate area that was not on my Costa Rica “list” but I was pleasantly surprised to find out that I could go horseback riding in Rincón de la Vieja National Park. Cool! Prior to my trip, I literally Googled “what to do in Liberia, Costa Rica” and read Top 10 Things to Do in Liberia on Trip Advisor but I wasn’t super enthralled by the idea of visiting art galleries or museums, a coffee tour sounded pretty cool, but I wanted to do something more adventurous. So I’ll save you the trouble, and just say: Go to Rincón de la Vieja National Park, which is a mere 25 km from the town. Just to cover some other little details of my time in Liberia, I spent one night at each end of my trip in two different hotels. The first was a regular (rather 80’s) hotel with a front desk and a decent enough pool. I enjoyed being able to relax for the afternoon in the pool after flying. But I came back from walking around town to find a creepy note under my door from someone who obviously had observed that I was staying by myself. 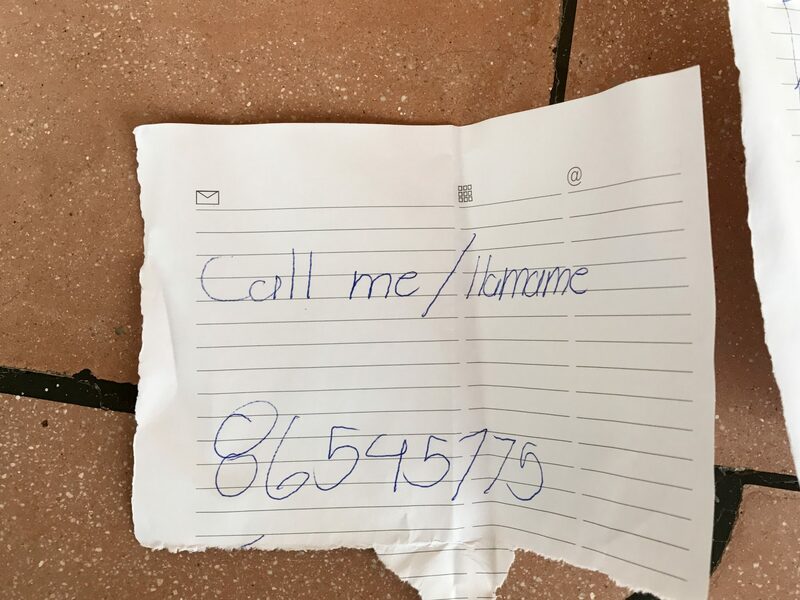 It literally said “Call me for make out in the restaurant” with a phone number. Suffice to say, I slept with a chair propped agains the door that night. I felt comfortable walking around Liberia during the day by myself. No problems there. Honestly, there’s NOT a lot to see. It’s a pretty standard town; nothing quaint or beautiful about it. No offense, Liberia. There were not a lot of tourists either, I noticed. 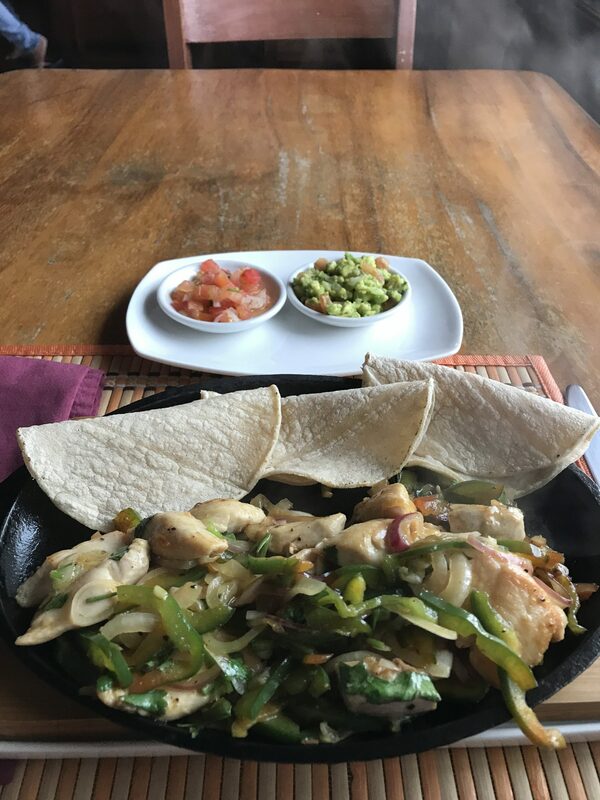 I checked reviews and walked to a restaurant nearby that had high marks called Cafe Liberia. I was the only one there, but it was clean, family run, had wifi, and was delicious. The Sistine Chapel-like ceiling didn’t hurt either. Ha! On my way home, I stayed the night at an adorable, family run B&B and it was so much better for way cheaper. 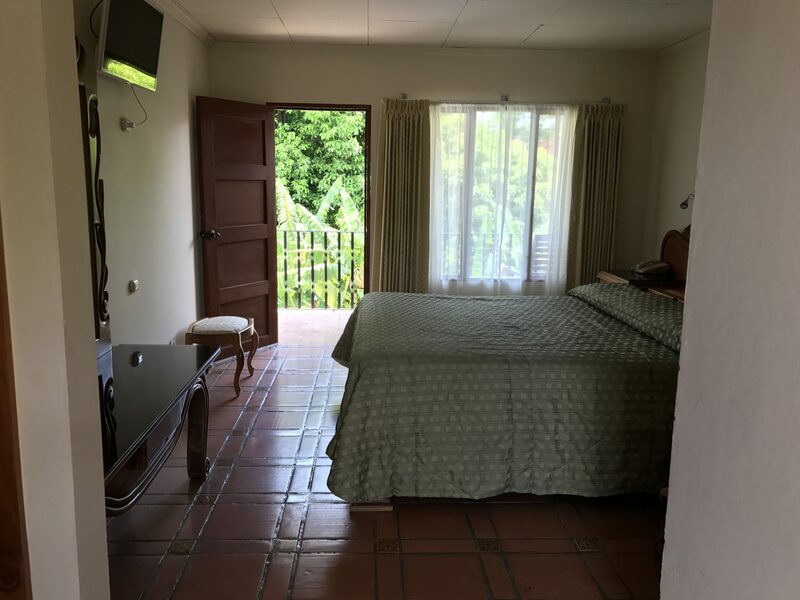 The rooms at Villa Hermosa were clean, the family was so sweet to feed me breakfast right when I got there as well as organizing my actives for the day. I don’t speak Spanish well, and the family doesn’t speak English at all, with the exception of their grown son, Emmanuel, who speaks perfect English. He helped to coordinate my day by making phone calls and reservations for me as well as taking me to get pizza he highly recommended. 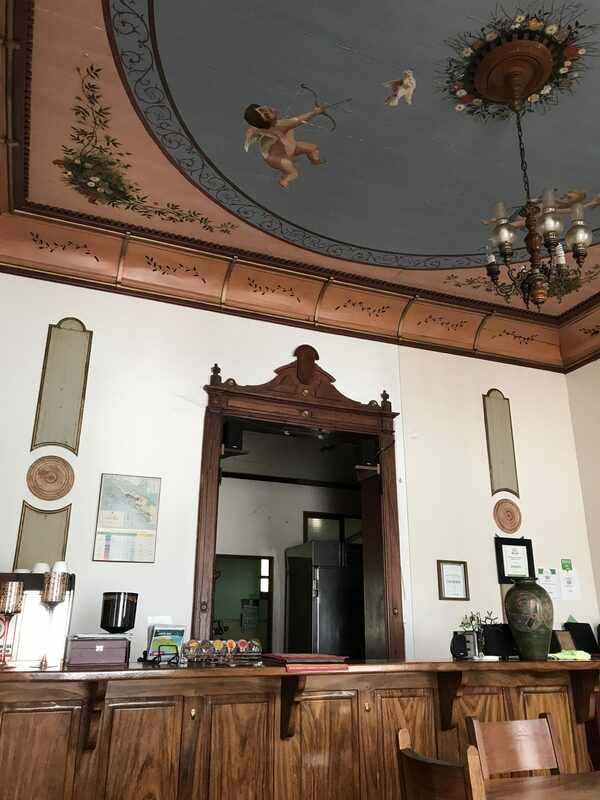 And although the villa is a little ways out of the main area of town and not as easily walkable, they can drive you somewhere for a good rate if you wanted to go. There are plenty of waterfalls near Liberia, Costa Rica but originally I planned to visit Rio Celeste, a beautiful waterfall around 3 hours away. Instead I opted to visit Rincón d la Vieja National Park, only about 25 km from Liberia, where there are a number of different outdoor adventures to choose from. 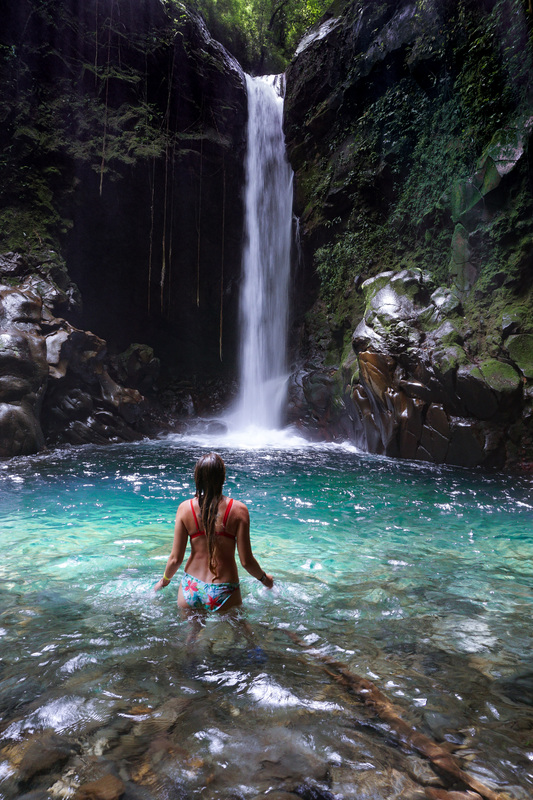 With almost 35,000 acres consisting of a massive volcano (one of the two remaining active volcanoes in CR), tropical forests, hot springs, mud baths, plentiful waterfalls, and diverse array of species, you could arguably spend weeks exploring the area. Not my measly one day. But whatever; I made the most of my time. Since 2011 when the volcano last erupted, hiking to the crater is no longer considered kosher. But several lodges or eco-resorts in the area offer hiking, canopy tours, biking, river rafting, and horseback riding. There is no town near the park and transportation is limited to hotel private transfers, renting a car, or hiring a taxi to get there. Food and amenities are limited to what is provided at the hotels. Emmanuel was kind enough to drive me there in his personal car for a very reasonable price and come back and pick me up when I called him a few hours later. The activity that appealed to me most near Liberia was horseback riding to a waterfall. Two of my favorite things combined? Hell yeah! I booked the tour through the Hotel Hacienda Guachipelin, which is a lovely adventure lodge located at the edge of the park. For viewing their smorgasbord of tours, click HERE. If you want to stay at the hotel, you should compare prices on their website to Booking.com to see if you can get a better rate. When I arrived at the Adventure Center of the lodge, I was issued a riding helmet and asked if I had close toed shoes. Umm, no, I’m in Costa Rica and Nicaragua on vacation for a retreat. I have flip flops. Their website said they “recommend” closed toed shoes, not required them, so I figured, I’m baddass enough to wear flip-flops on a horse. Suffice to say, I had to buy cheesy water shoes from their shop and they didn’t fit well at all. Save yourself the pain, and buy some funky ones ahead of time like THESE bad boys. You should also carry a lightweight towel like THIS one. I rarely travel or backpack without it. I was ushered to the horse corals and barn area, which looked clean and the horses looked healthy. 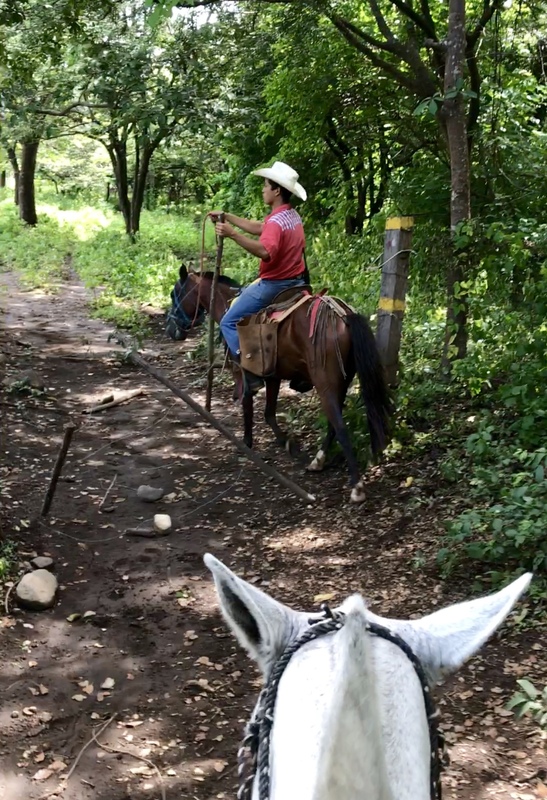 There was a large group heading out on a ride, but somehow I ended up on a solo horseback ride with a non-English speaking cowboy named Juan Carlos. It was rad. Our ride took us on forested trails through different landscapes, but we never saw anyone else along the entire ride. Except for a herd of cattle blocking our way. 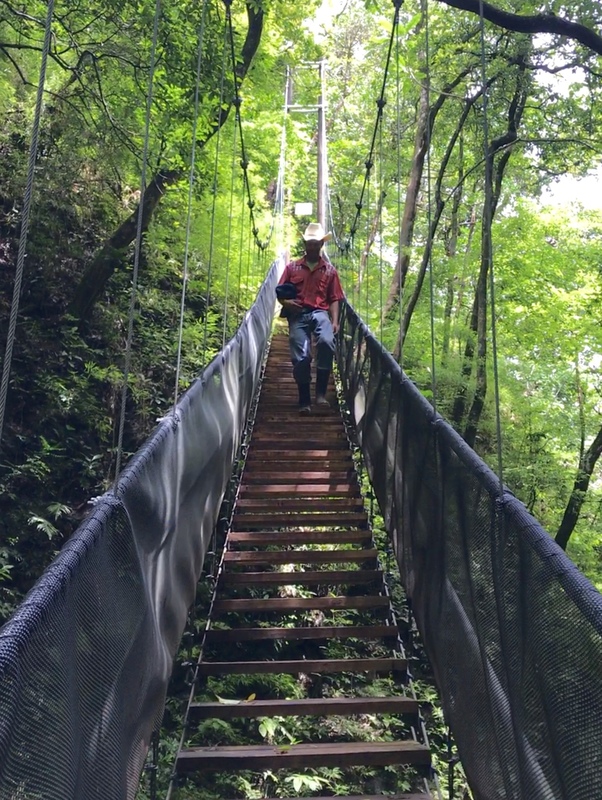 When we arrived to the trail to the waterfall, we tied our horses up and hiked down through a lovely little gorge and across a suspension bridge to an expansive viewing platform. The beautiful Oropendula Waterfall crashed below us into a jade colored pool. 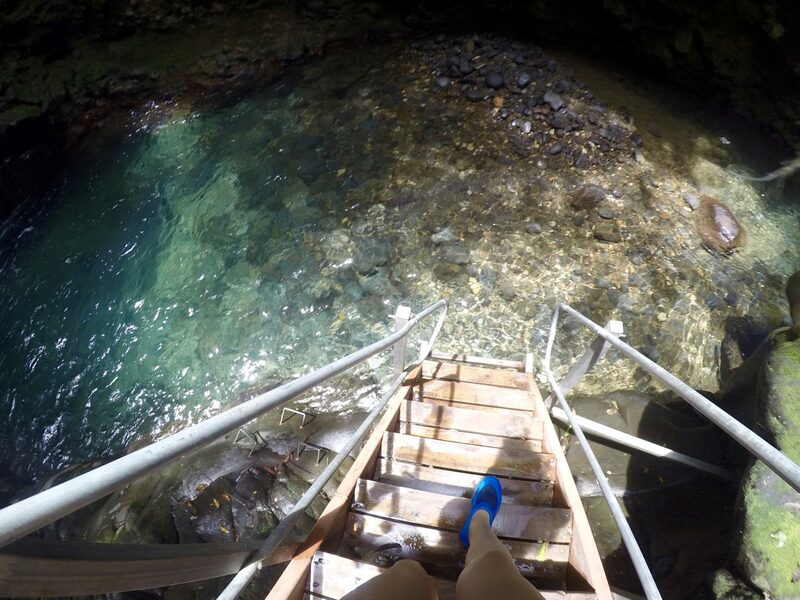 First thing I did (after staring in awe) was strip down to my swimsuit (and water shoes that I now appreciated), grab my CAMERA and TRIPOD, climb down the stairs, and get in the cold refreshing water. I set up my tripod on the less than stable rocks in the water and used my WIRELESS REMOTE to get some fun shots as Juan Carlos watched in amusement from above. In total, our ride and waterfall visit lasted maybe 3 hours. 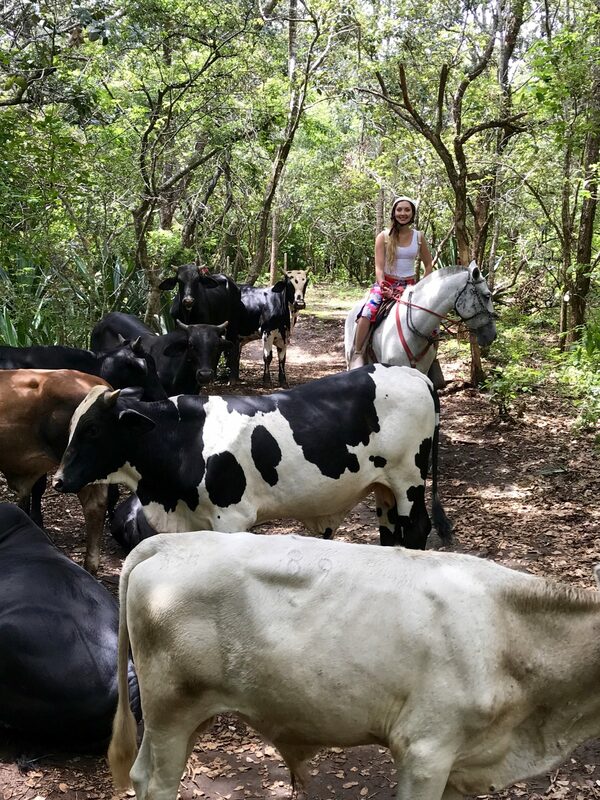 Juan Carlos was a gem of a Costa Rican cowboy and we had a blast trying to communicate. Did I mention he spoke no English? Awkward? Nah, not really. Laughter is a universal language. And me riding a horse is pretty funny. But in all seriousness, we tried to communicate as well as we could. He knew a few basic English words and I knew a few basic Spanish words so we tried Spanglish. We used my Google Translation app (Spanish offline that I downloaded ahead of time) and passed my phone back and forth from atop our horses to type questions and answers to each other. It was really fun, and Juan Carlos was amazed by the technology. I’m pretty sure he went home and downloaded the app immediately afterwards. 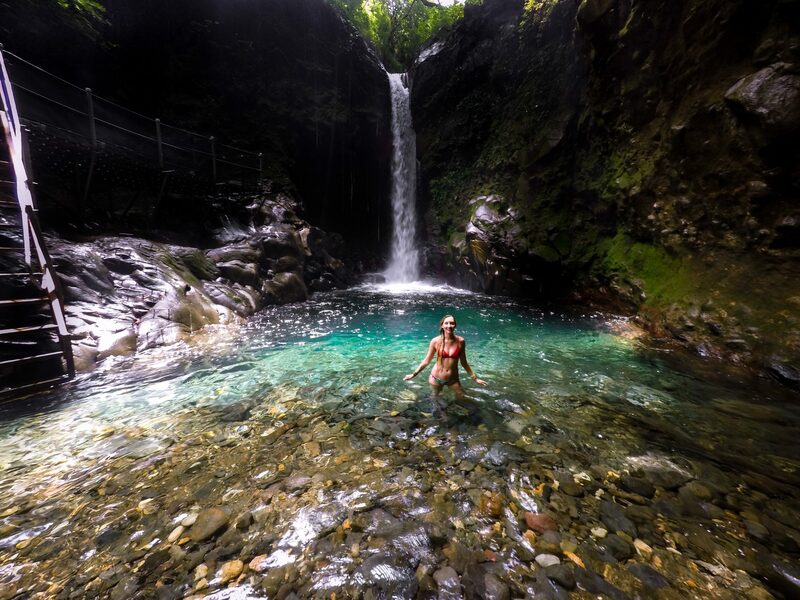 What else can one do on their one day in Rincón de la Vieja National Park? Get a massage, I tell ya. I booked one at the Hotel Hacienda Guachipelin and it was lovely after having to straddle a horse for 3 hours. So relaxing. After that, I had Emmanuel pick me back up, he took me for takeout pizza and I hunkered down in my room to gorge myself. The following morning he took me for an early flight to the airport and I was on my way home after a one day adventure in Costa Rica. Have I mentioned how I’m known for making the most of my time in a place? 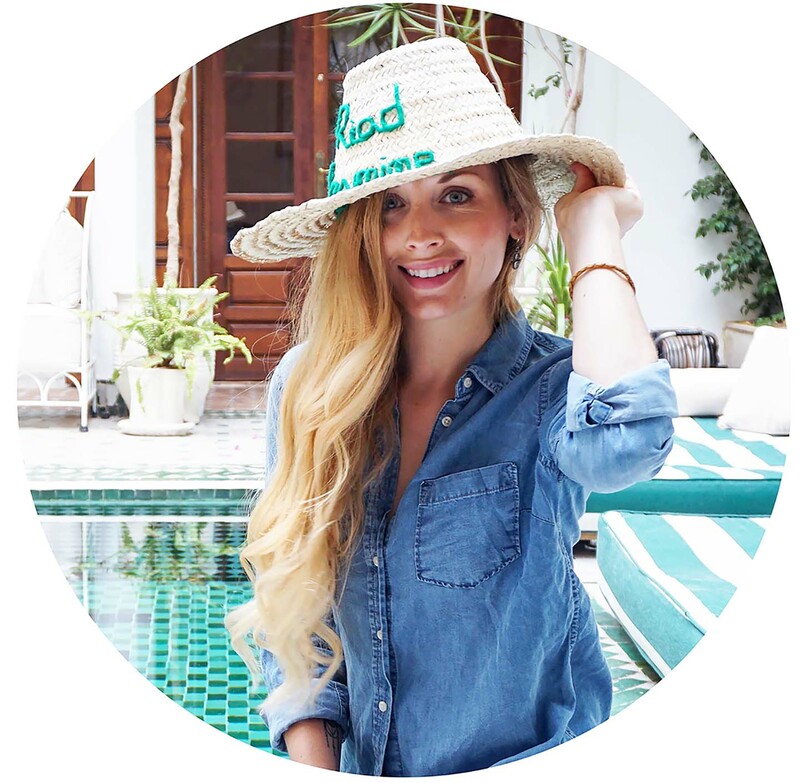 Check out my POST on my layover tour in Paris and you’ll see what I mean! 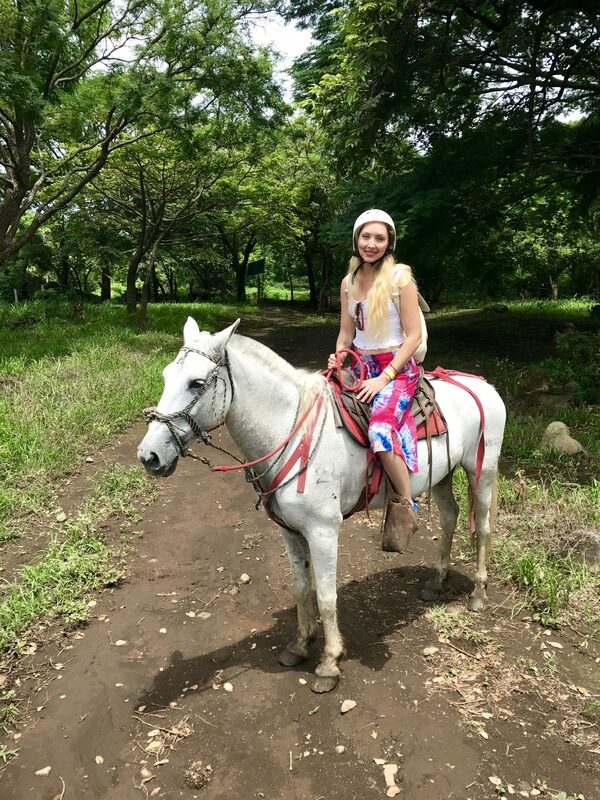 This entry was posted in Central America, Costa Rica, Destinations and tagged Central America, costa rica, horseback riding, national park, rincon de la vieja, waterfalls by Jessica Carpenter. Bookmark the permalink. Right?! So weird. The rest of it was fabulous! Haha. That note was so creepy? What would make any man think a woman would respond to that? The pictures are breathtaking and I’m glad you had a safe and enjoyable experience. That note!!!! I’m so glad the rest of the trip was worth it. It looks stunning! Hahaha! Right?! So funny and creepy! 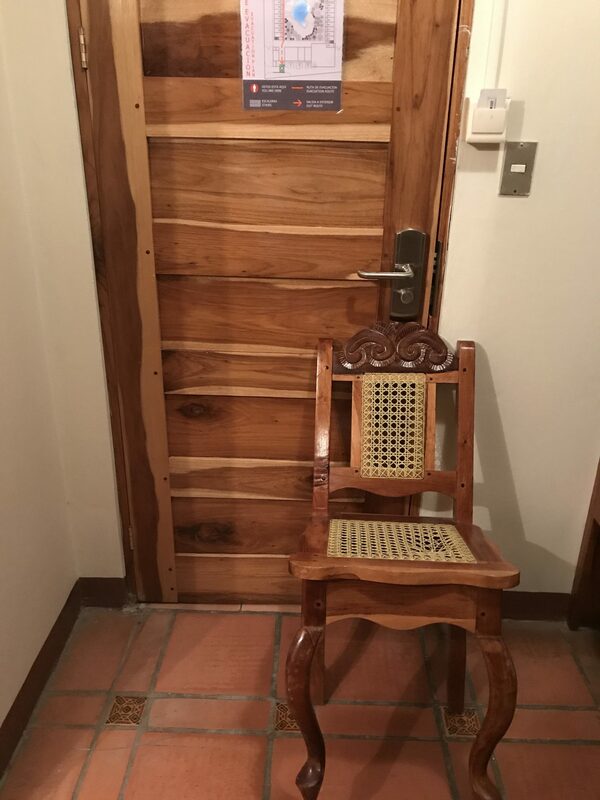 I’ve never felt the need to put a chair in front of my door before. But the rest of the trip was awesome. This is one place I’ve always wanted to visit! We have close friends that always rave about their trip a few years ago! Happy you found this gem of a place! How cool! Yes, I know lots of people who have loved Costa Rica. I just hope I get another chance to actually see more of it. Thanks Amy! Ack! 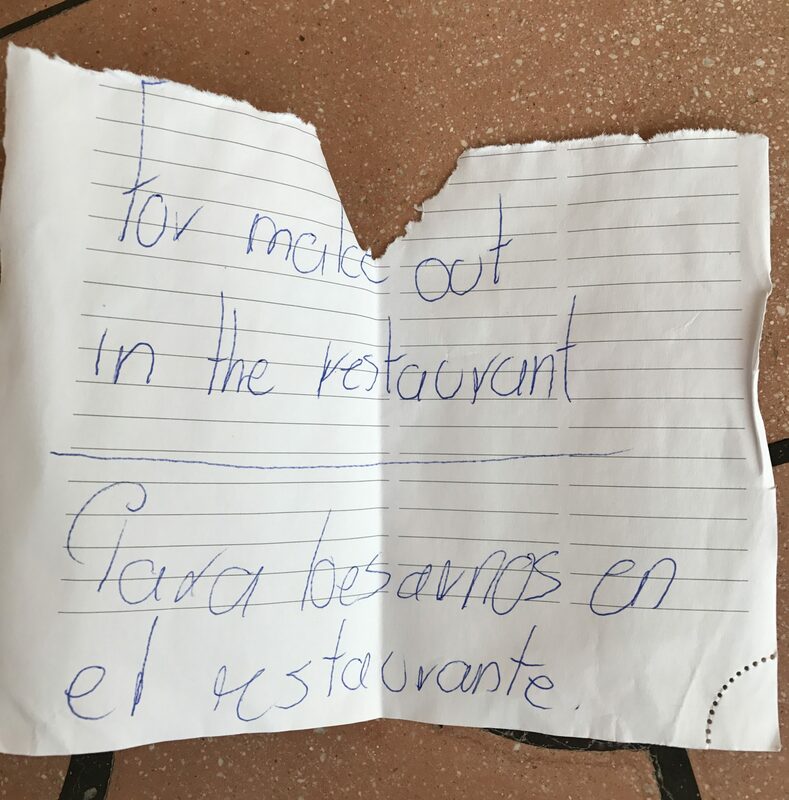 I definitely would never travel, by myself, again, after receiving a note like that! I, personally, don’t like going anywhere by my self. Not even to the store, lol. Glad to see that you enjoyed the rest of your trip, though! Haha, traveling alone can definitely be lonely and a little unnerving for sure! I try to be sensible and stay close to my hotel at nighttime. Unfortunately, this particular hotel didn’t feel super safe, haha. Thanks girl! Looks so nice now I want to go to Costa Rica. The waterfall looks so nice. Great pictures to. Costa Rica was so cool, just the little bit that I saw! I can’t wait to go back and visit more of it someday.